This is an excellent moisturizing butter. 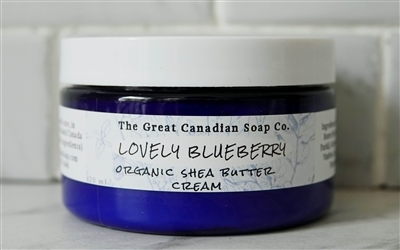 Our Shea Butter Cream contains 90% Shea Butter, with a little Grapeseed Oil blended in. A little goes a long way with this cream. Smooth it over your skin, and as your body heat warms it up, it soaks in leaving unbelievably soft skin behind. 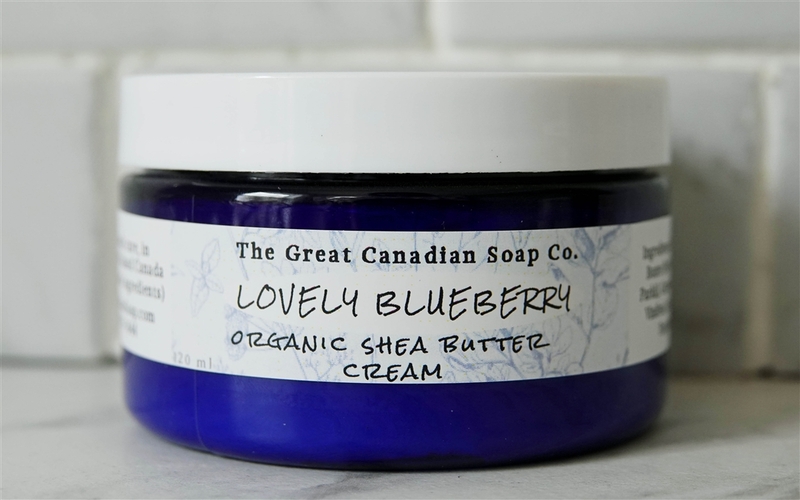 Ingredients: Shea Butter, Grapeseed Oil, Vitamin E, and Blueberry Fragrance Oil. Smooth a little Whipped Shea Butter over your skin and allow the heat of your body to warm it up. It quickly liquifies and permeates your skin, drenching it with moisture.